NIFTY View RBI Policy Meet - What Next? RBI Policy Meet - What Next? There was a cut of 25 bps in the RBI policy meet today. The index has shown weakness and is heading lower. The index has broken crucial support at 8260 levels and could drift lower to 8100 and 8000 levels. 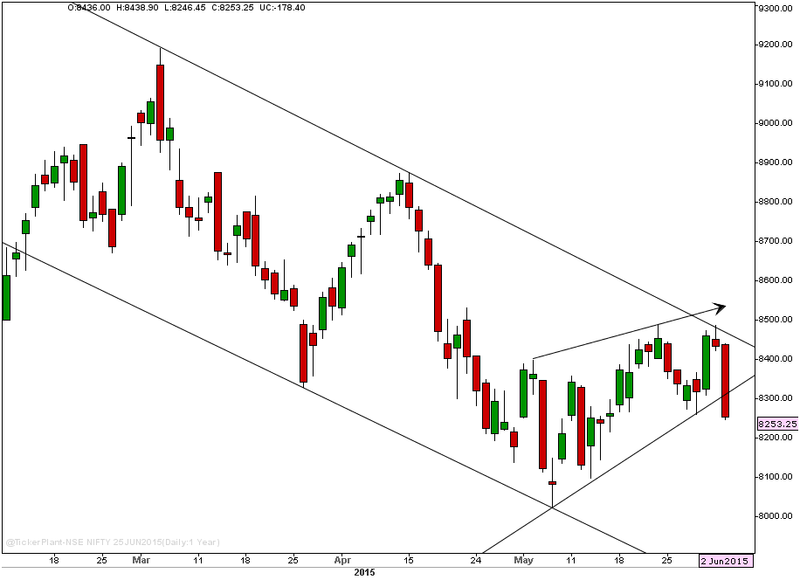 As long as the index sustains below 8300 the trend is bearish. An intraday bounce can be expected from 8180 levels.